Striking colt by Fighting Sun, winner of his only 2 starts as a 2 year old, and son of pre-eminent sire Northern Meteor. This colt is very much in the mould of his sire, and is a good strong walker. He has gone to the paddock to let down after his sales preparation, and the plan is to leave him in the paddock while the weather is good, then start breaking him in at the end of April/early May. FIGHTING SUN (AUS) (Bay 2011-Stud 2014). 2 wins at 2, A$143,750, ATC Canonbury S., L, Membership on Sale 2YO P. Out of SW Irish Darling (SAJC Australasian Oaks, Gr.1). Grandson of a half-sister to the dam of SW Dragon Maiden (Taranaki 2YO Classic, Gr.3). Same family as SW Battle Eve, SW King Delamere, etc. Sire of SW Chess Star (MVRC Valley Pearl, L), SP Platinum Mam'selle and of Naduri, Sunfighter and of the placegetters Darmasun, Fighting Harada, Samurai Queen, etc. His oldest progeny are 2YOs. Duan Zhixing - Sun Princeps (Sing.) (g. by Reward for Effort). Placed at 3 in 2017-18 in Aust. Mash 'n' Veg (g. by Snitzel). Placed in 2017-18 in Aust. THEATRE (Roi Danzig). 5 wins-2 at 2-to 1200m, A$570,250, VRC Ascot Vale S., Gr.2, MVRC Ian McEwen Trophy, L, VATC HDF McNeil S., L, Vice-Chancellor's P., 2d MVRC Australia S., Gr.1, VATC Vic Health Cup, Gr.1, Chirnside S., Gr.2, Rubiton S., Gr.3, Mornington RC Classic H., VATC Le Pine Funeral H., IGA Tablerite H., 3d MVRC Manikato S., Gr.1, 4th VRC Salinger S., Gr.1. Sire. Don't Pay - Tyson (Mac.). 21 wins-1 at 2-to 1400m in Aust. and Macau, Macau Calgary H., VATC Nestle Dairy 2YO H., Macau STDM Cup, 2d Macau Belo Horizonte H., 3d Macau Hillston H., Bianca Nera H., Rodrigo Rodrigues H.
Tolo. 6 wins from 1200m to 1600m, A$137,230, STC Sydney Roosters H., 2d AJC Theo Green H., Taras Bulba H., Blue Plume H., STC BD H., 3d AJC Olivier Group H., Randwick Betting Auditorium H.
Demandehere. 4 wins. See above. Great Star. 2 wins at 1400m, HKJC Smashing Pumpkin H.-twice, 2d HKJC Tung Wah Directors P., To Kwa Wan P., Johnston H., Zhuhai H., 3d HKJC Wood P., Norfolk H., Sinolink Property Management H.
Rescato. 3 wins at 1400m, 1500m, 2d MRC Sky Channel H.
Raise Cash. 2 wins at 1100m, 1200m in Aust. Hargitay. 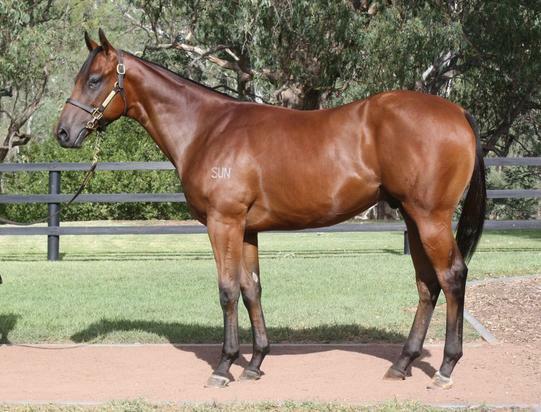 9 wins from 1200m to 2050m, A$125,265, MRC Stargazer H., 3d VRC Brave Chief H.
King's Dream. 2 wins at 1900m, 2050m, SAJC Reliance Athol Park H.
Wilkinson. 9 wins to 1300m, A$90,597, VATC St Sidwells H., VRC Trackside Enclosure Sprint, 2d VRC Scobie Breasley Medal H.
Economic. 10 wins-2 at 2-from 1000m to 1600m in Aust. She's Over. 2 wins at 1200m, 1400m, TTC Incitec Pivot H.
Summer Daze. 4 wins-1 at 2-to 1250m, STC Tooheys New H., Cedars Tavern H., 3d MVRC Brown & Co H., STC Eastwood Superfresh H. Producer. MARSTIC (Rustic Amber). 11 wins to 1200m, A$809,130, SAJC Goodwood H., Gr.1, Qld Tatt's RC Mercedes-Benz S., Gr.3, MRC City Chrysler Jeep H., MVRC Crown Trophy, Homes I H., Arnott's Shapes H., Emirates WSRC H., VATC Scobie Breasley H., Swinburne at Lilydale H., MVRC Thomaiy H., 2d MVRC Manikato S., Gr.1, SAJC Angas Brut S., Gr.2, DC McKay S., Gr.3, Ipswich TC Eye Liner S., L, SAJC KPMG S., L, VRC Debonair S., L, MVRC Membership Flying Welter H., VATC Evan Evans Flags Welter H., Baryshnikov H., MVRC Qantas Club H., Thoroughbred Catering H., City Ford H., Crown Challenge H., 3d MVRC CS Hayes S., Gr.3, VATC Zeditave S., L, MRC Back to Caulfied Raceday Welter H., MVRC Crown Trophy H., Swifts Signs Flying H., VATC Kevin Heffernan P., VRC Pivot Welter H., 4th MVRC Manikato S., Gr.1, VATC Memsie S., Gr.2, VRC Emirates Classic S., Gr.2, MVRC Ian McEwen Trophy, L.
Lady Marple. Winner at 2, VATC Harrie Smith 2YO H., 2d MVRC Oceana H., 3d VATC Hydrogen H., VRC Elms Marquee H., Super VOBIS Nursery H. Producer. Slippers Neat. 3 wins. See above.